The sneaker game isn’t always a lot of fun. If you are at all interested in picking up the newest shoe from Nike or Jordan Brand or Adidas or New Balance, whether that be a retro or a hot collaboration, you know how difficult and frustrating the process can be. From inconvenient in-store raffles, to bots on launch day, to rigged social media reservations, your chances of actually snagging a pair of the shoe you set out for are slim these days. Adidas wants to change all of that with their new Adidas Confirmed app. Not only will this app potentially inspire others to get with the times (Yes, that would be you, Nike.) and make shoe buying fair again, but this app is going to be your shot at picking up the first Kanye West and Adidas collaboration. What is Adidas Confirmed and how does it work? It’s basically an app that notifies you via push notifications that a sneaker release is on the horizon. Once you know that a shoe release is coming, the Confirmed app allows you to reserve a shoe by size through the app, avoid the battle with bots (at least that’s the goal) and massive lines at storefronts, and confirm a location for pickup. As of right now, it appears to only work in New York City. As you can see from the screenshot at the top, which was taken from my phone, I’m not “in the zone,” so I can’t participate. Hopefully, they will expand to more cities soon. As for the Kanye collaboration, again, if you are in the sneaker game at all, you know the magnitude of this. The Yeezy and Yeezy II that Kanye worked with Nike on are two of the most sought after sneakers of all time, with re-sellers still seeking thousands of dollars from sneakerheads who couldn’t cop a pair at launch. His work with Adidas has been mostly mystery, but knowing Kanye and his influence on sneakers and fashion, this is going to be something to watch. 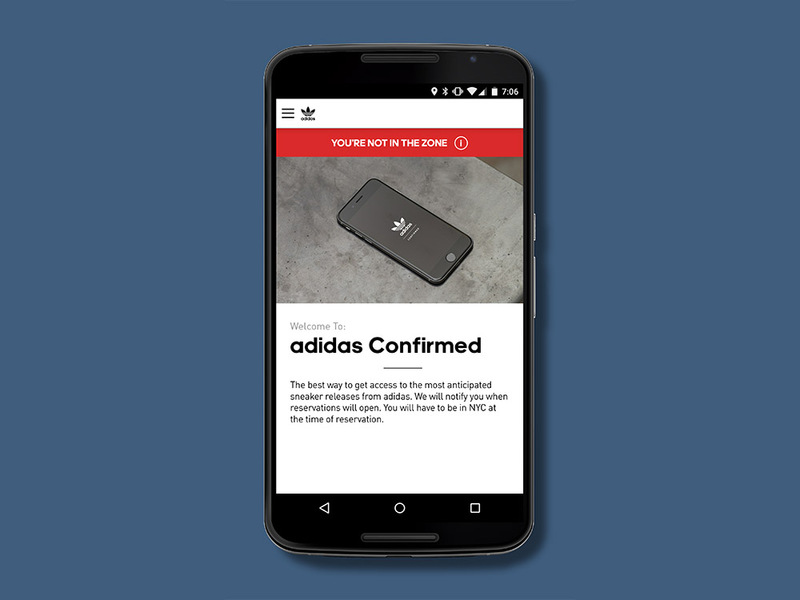 The Adidas Confirmed app is going to be your way to get in first on his collaboration. The app is available on both Android and iOS for free. Samsung Galaxy S5 Lollipop Tour!